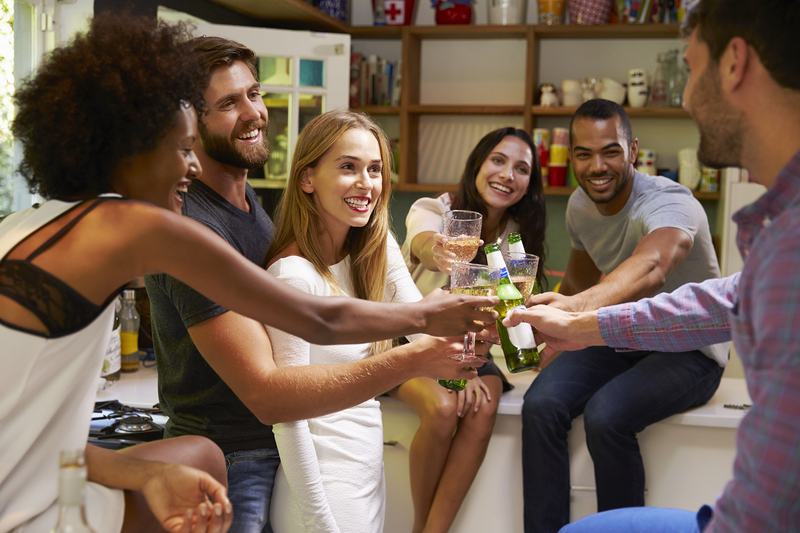 Booze is not necessarily needed for a good night out or a successful social event, and those who don’t fancy sipping water or soda throughout the night may be on the hunt for something a bit more exciting to add to their drinks roster. Whether the reason for the abstinence is dry January, an alcohol-free Lent, baby-on-board, or due to a more permanent change in their lifestyle, Cayman Health has sourced five delightful mocktail recipes to make the transition easier, quench their thirst and keep them lively but clearheaded. Some of these options do have added sugar – so enjoy in moderation to keep your daily sugar intake at a reasonable level. This recipe comes from Food Done Light and uses agave in place of tequila. Serving this mocktail in half of a hollowed-out watermelon also adds an aesthetic value at parties. 1. In a blender, puree enough watermelon chunks to create 4 cups of watermelon puree. 2. Add lime juice and agave and mix again. 3. 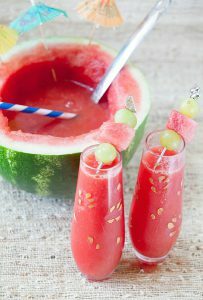 Pour into 4 cups to serve, or into hollowed out watermelon if guests are self-serving. 4. Top with sparkling water. 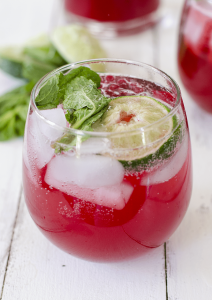 Delish Knowledge suggests this refreshing raspberry mint limeade as a non-alcoholic choice, perfect for summer, or year-round in Cayman. 1. Place frozen raspberries in a saucepan. Add water and sugar then bring to a simmer over medium-high heat then reduce to medium. Simmer, stirring occasionally, for 5 minutes until berries are very soft and almost dissolved. Stir in the mint sprigs, then remove pan from heat. Let cool, and discard mint. For a thicker beverage, puree in a blender or using an immersion blender. For a smoother texture, strain and discard solids. Stir in lime juice. 2. Divide juice among 6 glasses then top with soda water and mint sprigs. 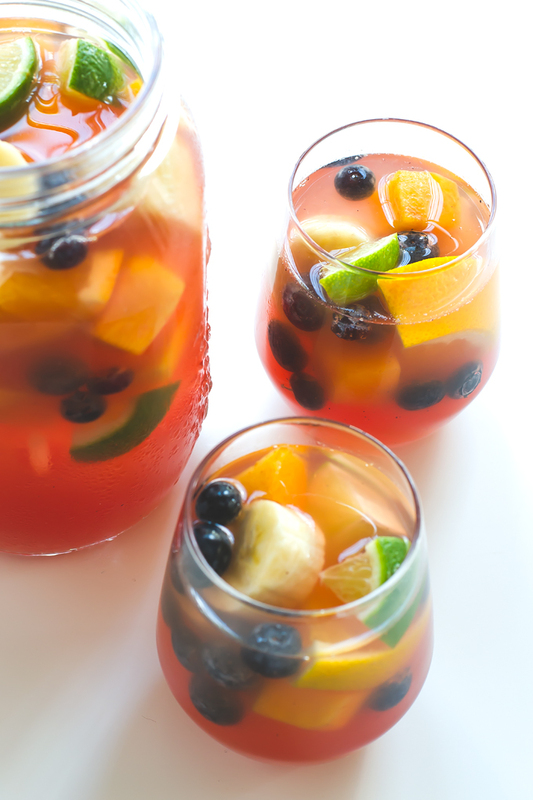 This faux sangria from Simple Vegan Blog uses no added sugar and substitutes grape juice in place of wine. 1. Blend the white grape juice with 1/4 cup blueberries. Pour this liquid mixture into a jar or bowl. 2. Add the orange and the lime juice. Stir until it is well mixed. 3. Place ice in a jar, add the liquid mixture, the chopped fruits and 3/4 cup of blueberries. Let the sangria stand in the fridge for about two hours. 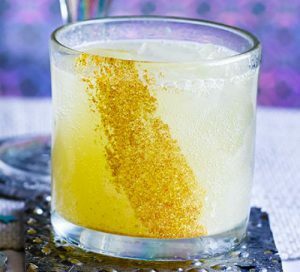 If you’re feeling fancy, this pineapple and lime mocktail recipe from BBC Good Food uses edible gold glitter to make it look extra special, and maybe make you forget it is booze free! 1) Dip a pastry brush in the honey and paint a line down one side of 4 tumblers. Sprinkle some edible gold glitter over the honey, dust off any excess, then put the glasses in the fridge. 2) Chop the coriander leaves and place in a cocktail shaker with the lime juice, 100ml pineapple juice and a handful of ice. Shake together until the outside of the shaker feels cold. Strain into the glasses, add extra ice cubes and divide 650ml pineapple juice and the tonic water between the glasses. This recipe from Food & Wine Cocktails 2015 uses apple cider in place of apple brandy. 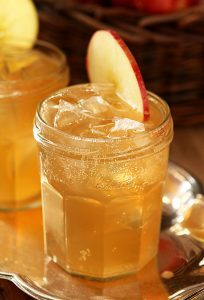 1) In a cocktail shaker, combine the apple cider, apple cider vinegar, Ginger Syrup, lemon juice and orgeat. 2) Fill the shaker with ice cubes and shake well. 3) Strain into a chilled, crushed-ice-filled double rocks glass, add more crushed ice and arrange the apple slices in a fan on top.